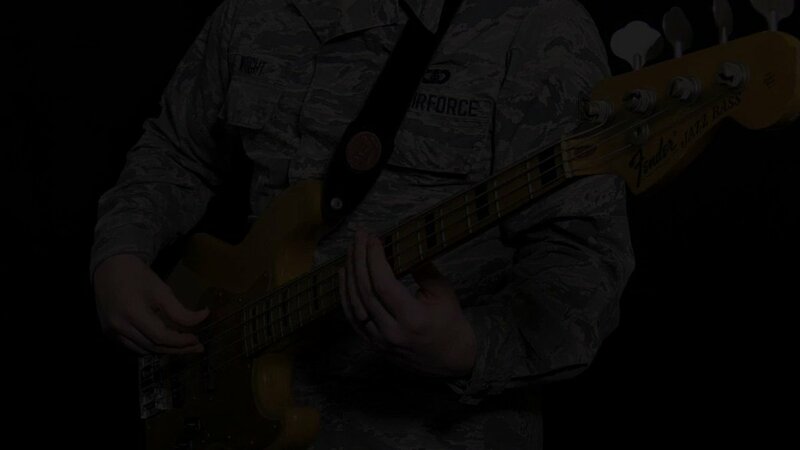 Air Force bands support the global Air Force mission in war and peace by preserving national heritage providing professional musical products and services for official military, recruiting and community relations events. · We're a team of Air Force professionals building the world's most respected music program. · Enhance airman morale, esprit de corps, and retention. · Inspire patriotism, support Air Force recruiting, and encourage young men and women to serve in the military. · Increase public awareness and understanding of the armed forces and the mission, policies, and programs of the Air Force, enhancing public trust and support. · Strengthen the reputation of the Air Force as a good neighbor, a respected professional organization charged with part of the responsibility for national security. Performing an exciting and diverse musical repertoire that preserves our national heritage as Americans, the Air National Guard Band of the Midwest instills patriotism, national pride, and esprit de corps. An integral component of the Air Force's Public Affairs Triad, the Band of the Midwest performs a vital role in communicating the message and professionalism of today's United States Air Force and Air National Guard: In the words of General Carl A. Spaatz, the first USAF Chief of Staff, "Public support is as essential to effective air power as industries, airplanes, and airmen,"
Stationed at the Peoria Air National Guard Base and attached to the 182nd Airlift Wing, we serve as musical ambassadors of the Midwest. All of our highly trained musicians are citizen-soldiers, performing with the Air National Guard Band of the Midwest only two days per month, and traveling on a two-week performance tour in the summer. While our primary Area of Responsibility encompasses Illinois, Iowa, Minnesota, and Wisconsin, the Band of the Midwest has also traveled and performed extensively for both civilian and military audiences, to include presidents, nobility, and dignitaries throughout the United States and the world. Whether you are here to learn about sponsoring a concert performance in your community by one of our fine musical ensembles, or are interested in auditioning for the Air National Guard Band of the Midwest, I encourage you to look at the quality of our program...and even more so, the quality of our people. Enjoy! The Air National Guard Band of the Midwest extends best wishes to our Enlisted Manager, Senior Master Sergeant Gregory Koger, who on Saturday, March 2, 2019 served his final day in uniform as he prepares to retire from military service. Saturday marked the culmination of over 41 years of service for Sergeant Koger. Family, friends, retirees and current unit members gathered together for a special final formation honoring Sergeant Koger’s service and sacrifice over the last four decades. 182d Airlift Wing Commander Colonel Daniel R McDonough awarded Sergeant Koger the Meritorious Service Medal shortly before he “crossed the line” into retirement. Congratulations, and best of luck in your retirement, Sergeant Koger! Members from the Air National Guard Band of the Midwest and 144th Army Band formed the Illinois National Guard Band in support of the Illinois Gubernatorial Inauguration in Springfield, IL on January 14, 2019. The Joint Force effort supported the peaceful transition of power as J.B. Pritzker took the oath of office as the 43rd Governor of Illinois and Commander in Chief of the Illinois National Guard. ANG Band of the Midwest will be LIVE from Wausau today at 6pm, stay tuned! We are looking forward to touring Northern Wisconsin and the Upper Peninsula of Michigan in just a few weeks! We hope you can join us at one (or more) of our performances! The Air National Guard Band of the Midwest is recruiting new members! 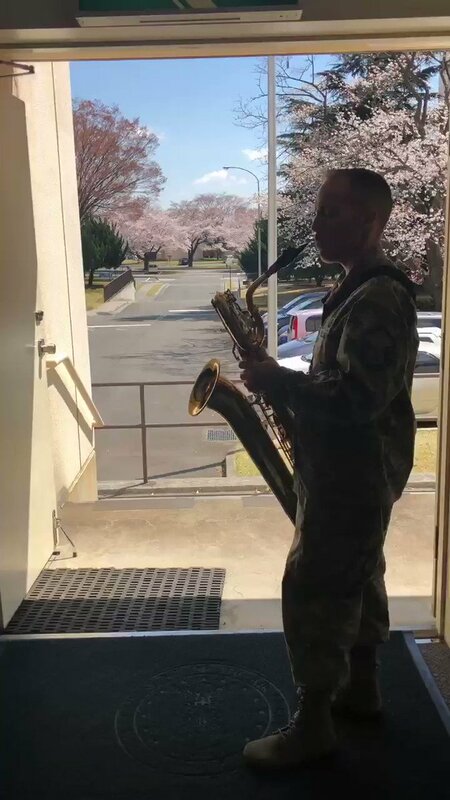 If you know a talented musician looking for an opportunity to serve their country, please share this post with them and have them contact Staff Sergeant Peterson. *re-posted with updated contact info, please share again! Happy Holidays from the 566th!